Business experts have been talking up social media since Facebook was only available to users with verified .edu email addresses. Innovators could see that the potential Facebook offered, and they had more than a suspicion that more social platforms would become available. Their predictions were correct and now companies are using social media to break news instead of press releases. If you earned your online bachelors in business administration before tweeting was a thing, you might need a refresher course on incredible statistics and revealing facts that help to explain just how vital social networking is to businesses. Social networks may have been created with younger generations in mind, but there are no age restrictions. In fact, the same people that initially helped their parents to set up their social networking profiles are the same ones getting help and advice from older folks. Even pre-teens and high schoolers are using social networking to communicate with their teachers and get information on prospective colleges offering online business programs. Since everyone is using it, you don’t want to be the only business obviously behind on the times. You may not have realized that your website was seriously deterring new customers until you had a new and modern design to compare it to, but now that that’s done you can see the value in presenting your company professionally online. A lot of business owners are getting the same lesson via social media. If you don’t have someone with an online business administration background that can manage your social media accounts, you should definitely do it yourself. What you put up on your social media profiles is going to catch the attention of readers, and it is going to stay there even if you purge it from your posting history. You can’t undo a mistake in the form of social media posting, so make sure that your messages are inclusive, well written and professional. To find out what your customers like, you have to ask them. Traditionally, businesses have deduced what their customers’ preferences were based on phone questionnaires and trends. 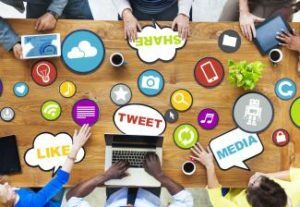 Social media enables companies to not only find out conclusively what their customers like, they can also sit around and watch how their prospective customers communicate and interact online. Normally, spying is considered a crime, but when you’re reading up on consumers online you have the opportunity to be a spectator with access to some very vital intelligence. Your customers should instantly know when they have stumbled upon your social media pages. A professional look with headers, logos and messages signed by high ranking employees or specially assigned social media managers will help your customers to feel like they have come to the right place. Businesses already know to have great websites that are active and updated, but social networking can be a completely new foray. Avoid making mistakes that can make it difficult to resume social media activity and let your customers know that your tweets and messages are more than hot air.